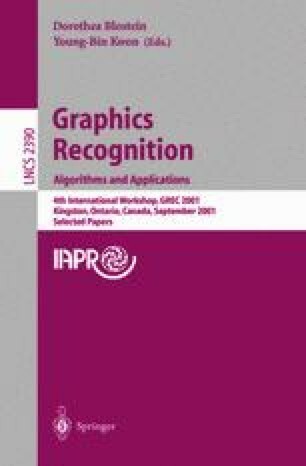 A successful project in automated map generalization under-taken at the National Atlas of Canada made extensive use of the implicit perceptual information present in road and river networks as a means of analysing and understanding their basic structure. Using the perceptual grouping principle of ‘good continuation’, a network is decomposed into chains of network arcs, termed ‘strokes’. The network strokes are then automatically ranked according to derived measures. Deleting strokes from the network following this ranking sequence provides a simple but very effective means of generalizing (attenuating) the network. This technique has practical advantages over previous methods. It has been employed in road network generalization, and applied in the selection of hydrologic data for a map covering Canada’s northern territories. The method may find further application in the interpretation of other forms of documents, such as diagrams or handwriting.